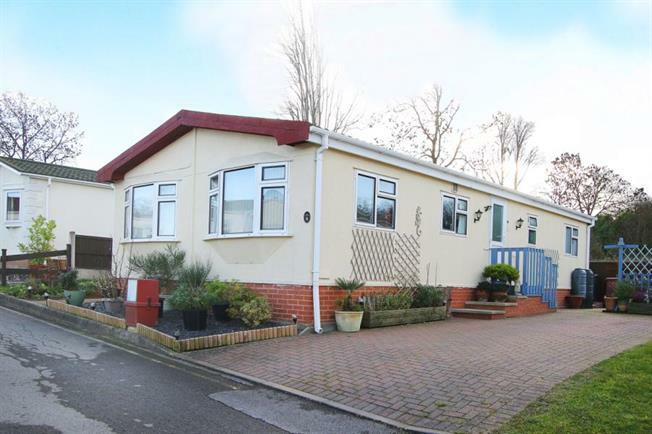 2 Bedroom Mobile Home For Sale in Chesterfield for Guide Price £100,000. Fantastic opportunity to purchase a low maintenance mobile home located within a secure development. This well presented two bedroom home briefly comprises; Entrance door leads into the modern fitted kitchen which in turn leads to the open plan lounge diner. The hallway provides further access to two good size bedrooms with bedroom one benefiting from en-suite with low flush w.c., wash hand basin and shower cubicle. Also from the hall is the w.c. with plumbing for washing machine. The property also benefits from a driveway providing off street parking and low maintenance garden. To book your viewing call Blundells now on 01246 208768.